Overall: 7/10 The functions are adequate. There's an equalizer with Mid-channel frequency modulation, which is rare in the price range. Also, there is a dedicated control channel for Overdrive. There's also a Chorus and Delay effect on all instrument channels. On the back, we have clean mic input, which is separated from the instrument input. One may input two instrument, one clean, one modulated or one pre-modulated with one modulated. The tone can be adjusted on the mic input. Next to it, there's a CD RCA connection. I haven't tried using it, but I think it's good for dubbing musicians. Finally, we have headphones output for quiet practice with effects. If anyone has a problem with only one instrument input, I suggest getting a TS/TRS quarter-inch splitter. 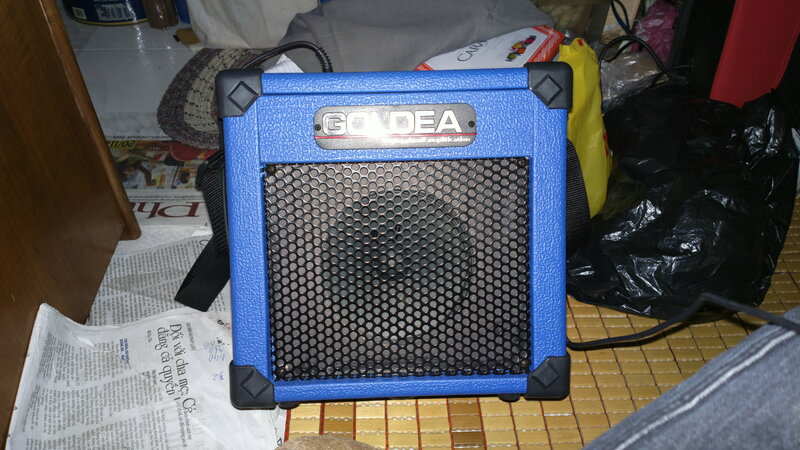 As for me, the plethora of connections on a so-called miniamp (they classified it as such on the official website of GOLDEA, though it's 6 KG and has no battery) is more than enough. Alternatively, one can use the clean mic input for other instruments. The other thing that bugs me is that it doesn't use batteries for portable, out-in-middle-of-nowhere use. Cosmetics: 10/10 - Although this is easier on the eyes and less likely to getting dirt on, I still like the white variant's interweaving leathery stripes texture. Too bad the white one's OD switch got broken. Also, the included strap feels like it would rip after a year. Other than the blue model I got and the broken white floor model in the shop, it also comes in red, orange and ... black (ah, come on, no one likes black amps they're so mainstream) with texturing options. Bottom line, the design looks fashionable enough to make me want to haul it everywhere. Final Verdict: 8.3 out of 10. 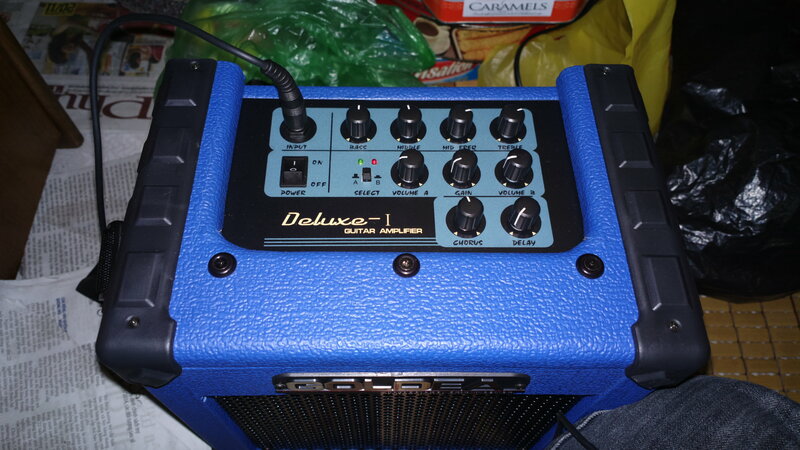 This is a good amp in its price range. Though, one may find the MiniCube from Roland better, I think the price justifies the lack of more effects and battery operation (because the MiniCube's $200 here in Vietnam and it's only a 2-watt amp). You may be able to find it cheaper elsewhere.